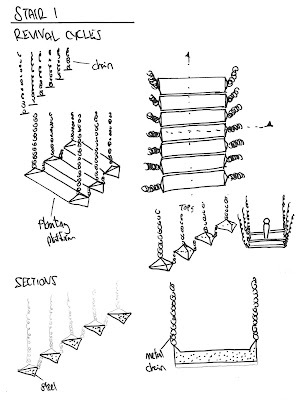 Concept: Floating steel platforms acting as steps, hung from the ceiling with metal chains. This reflects the metallic style from the motorbike. 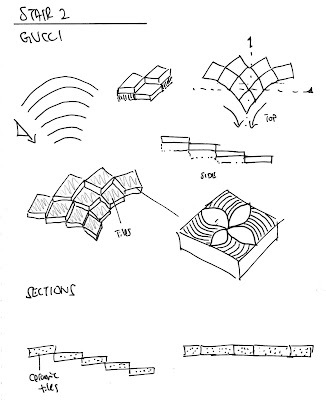 Concept: Wide ceramic textured tiles forming curvature steps. Each tile has a floral design to suit the luxurious style of Gucci. This reflects the material-focused Gucci jacket. 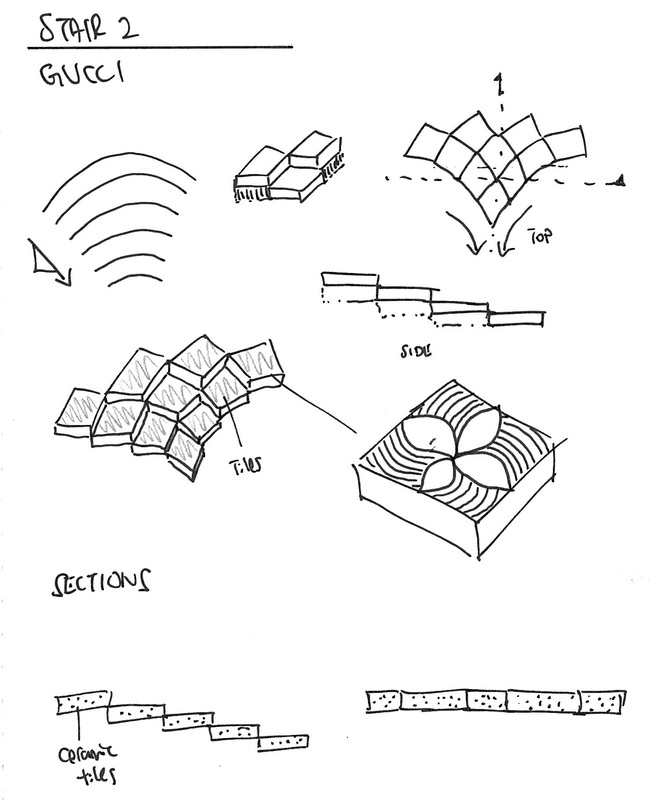 Concept: Diagonal structure upwards supported by one concrete block, which acts as a ramp for the bikes. 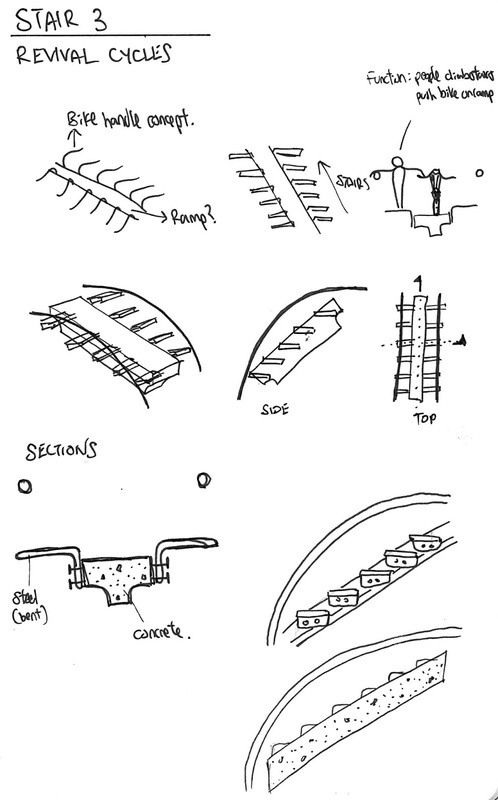 The ramp also has a travelator (moving walkway) for the bikes to be transported up with ease. Platforms for the stairs are attached to the side, resembling motorbike handles. 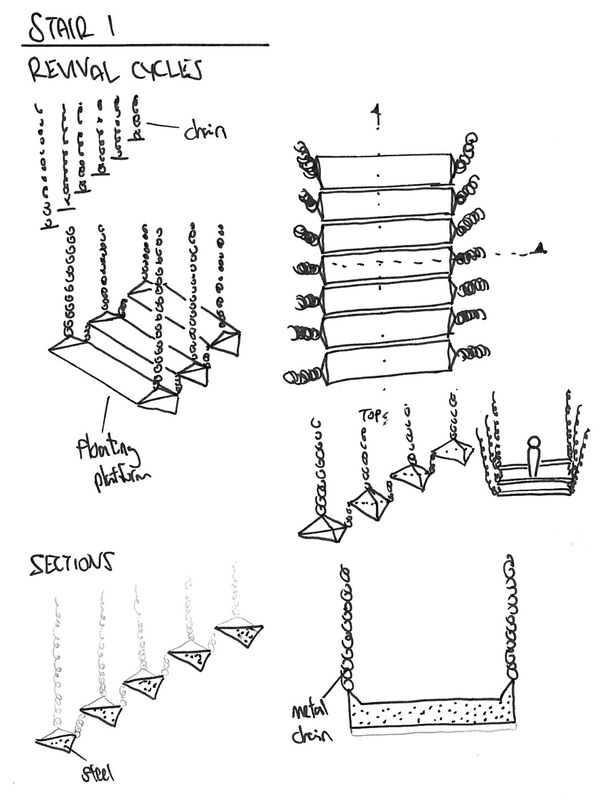 A steel pole acts as handrails and prevents the user from falling. 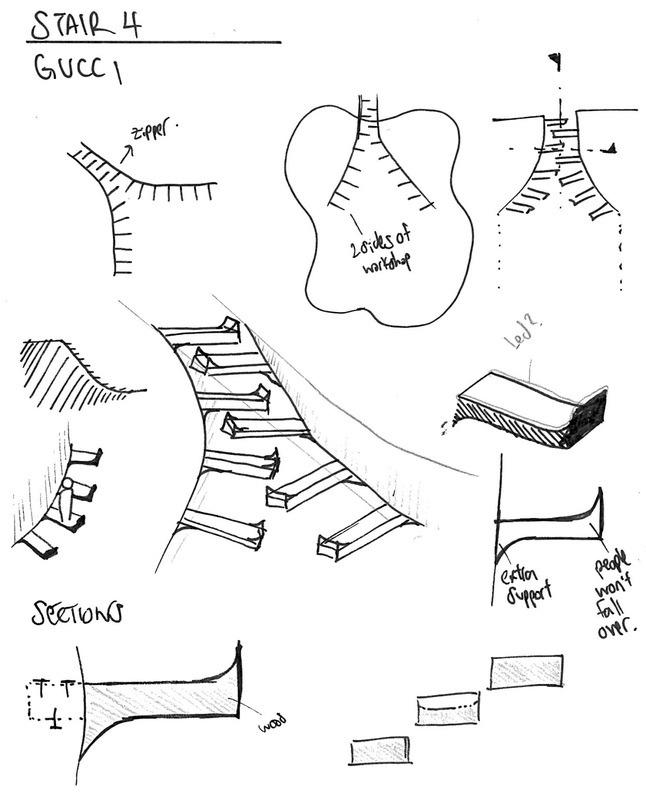 Concept: A one-to-two-end stairs resembling the function of the zipper from the Gucci jacket. 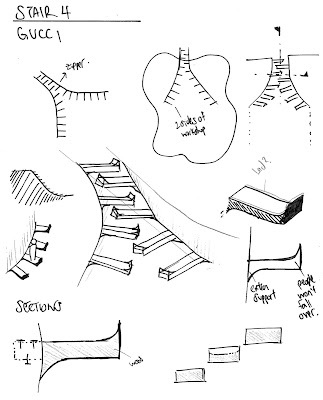 The platforms are made from wood and crafted with curvature ends to add extra support against the wall and the prevent the user from falling.